New Construction - 2018. 2 Bedroom, 3 Bath End-Unit Townhouse in Gated, Waterfront Community. Living at Harbour Landing is like being on vacation year round. This Townhouse has all new state-of-the-art construction and mechanicals, Energy Recovery Ventilation (ERV), on-demand hot water and energy efficient zoned heating system. The living/dining room and kitchen on the main level offers an open floor plan with lots of natural light, palladium windows, gas log fireplace and all new kitchen with stainless appliances, granite counters and a full bath with a granite vanity top. The upper level has a Master Bedroom suite with walk-in closets, full bath with dual sinks and granite counters and walk-in shower. The 2nd bedroom has spacious closet, and palladium windows. There is a full bath and laundry area with high efficiency Bosch stackable washer and vent-less dryer. There are some water views from Dining and Bedrooms. 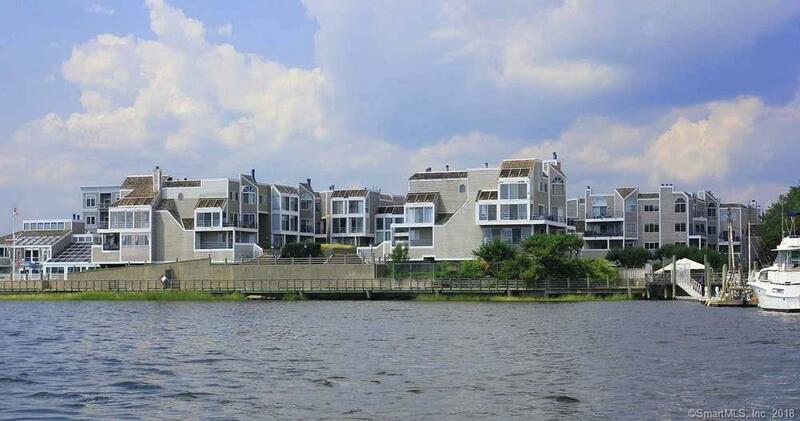 The Amenities include a club house overlooking New Haven Harbour with spectacular water-views. The clubhouse consists of a meeting or entertaining room with kitchen, dining area and fireplace. The lower level has an exercise room, showers, and in-ground pool. There is underground parking and beautiful ground to enjoy. Conveniently located close I-95 and I-91, train station, Downtown New Haven and Yale. This 2 bedroom, 3 bathroom Townhouse/Villa for sale is currently listed for $329,000. It was built in 2018. It has been on Coldwell Banker for 186 days. This listing is provided courtesy of CENTURY 21 ALLPOINTS REALTY. Looking for more homes for sale near this one? View all New Haven, CT homes and connect with local real estate agents. Website provided and owned by Coldwell Banker Residential Brokerage- Connecticut.